It looks like there is nothing goes wrong for Chelsea nowadays. 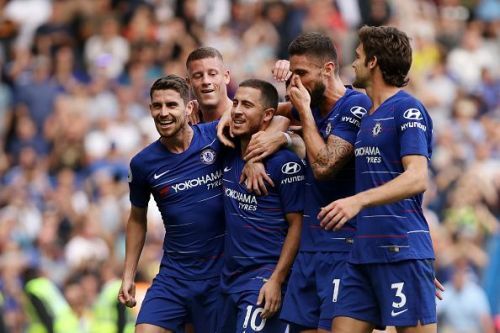 After winning the first 4 games of the season Chelsea continued its form and trashed Cardiff City by 4-1 at Stamford Bridge. It’s a 5 win in as many games for Chelsea and there is one player which particularly outclassed Cardiff city single-handedly and it is non-other than Eden Hazard. The Belgian international was at his best against the Cardiff. He scored his second heart tick for Chelsea. Moreover, Sarri became the only second Chelsea manager to win first 5 premier league games, earlier Carlos Ancelotti won it in 2010. He is the man who cannot stay away from the limelight. The 27-year-old Belgian captain was at cloud 9 against the Cardiff city. Hazard scored at the 37th, 44th and 80th minute for Chelsea. 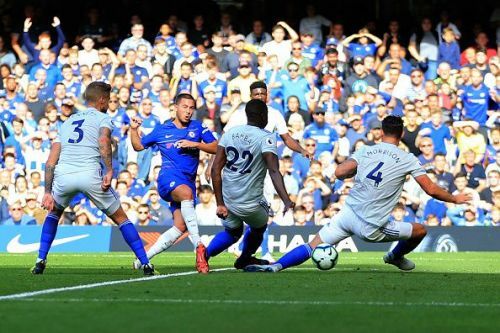 This is Hazard’s second hattrick in Chelsea shirt and he became the 4th Chelsea player to score more than one hattrick for the club. He again proved his worth. Throughout the match, he kept defenders in his pocket. Hazard has now scored 5 goals in 5 matches in the premier league. He also has 2 assists in his name. The stats clearly show this man is on fire. Can he score 20+ goals this season for Chelsea? 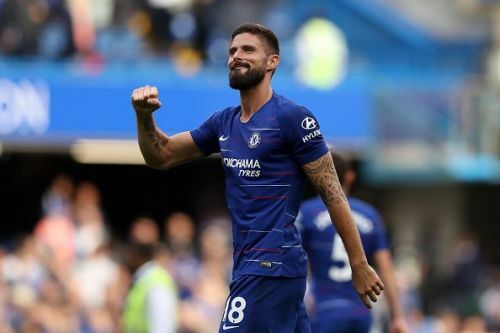 Giroud got the first start in this premier league season under Maurizio Sarri. Sarri finally chooses him over Alvaro Morata who failed to impress in the previous fixtures. And he proved why he is praised by the France fans. Although he didn’t score a goal, his contribution to the match was immense. He provided assists to the first two goals of Eden Hazard. Giroud created some good chances for the team and also near to scoring a goal but his header on Azpilicueta cross just went over the bar. In total, Giroud played a vital in the attacking third for Chelsea. When we are talking about Chelsea's top performers and neglecting Kante's name will surely be a big mistake. There is no place in the field which does not have Kante's feet over it. he runs all over the field. Kante was as usual precise in his role. He supported the attack in the attacking third and also ensured Jorginho doesn’t remain the lone man in the centre of the park. 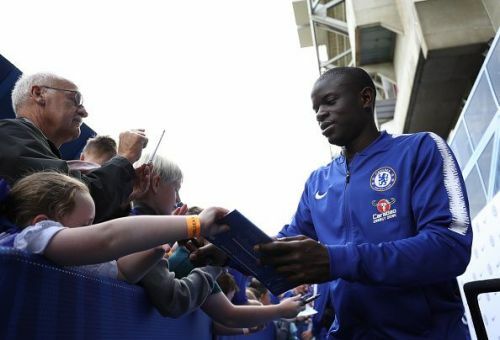 Chelsea fans would be expecting more performance like this from Kante in the future. The Chelsea captain was among the top performers for Chelsea against Cardiff City. he made some good overlapping runs during the match. He set a beautiful ball for Pedro, who smashed the ball over the bar. 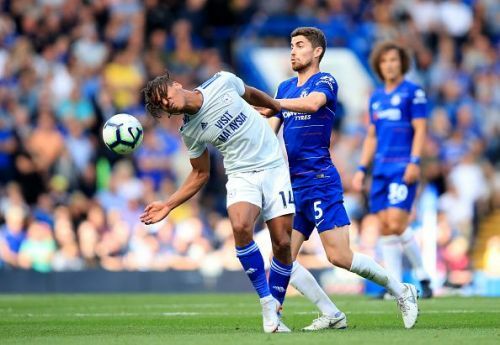 Azpilicueta was a constant threat to the Cardiff defence, he ensured Cardiff defence remained busy. His crosses made Cardiff uncomfortable at some occasions and he was always available on the right flank to provide support to his teammates. 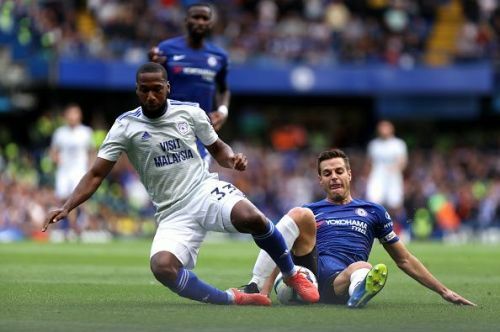 Defence wise there was not much for Chelsea to do in the match, as a result, Azpilicueta was not much involved in the defence during the match but he made few tackles in the match. The Italian international was as usual completely dominating the midfield during the match. There is no doubt in claiming Jorginho the backbone of Chelsea under coach Maurizio Sarri. He was always available as the option for Chelsea players to pass the ball. The 26-year-old Chelsea number 5 was good with his passing against Cardiff and very rarely he miss-passed the ball. Chelsea will be next playing in the Europa league and Jorginho will play a big part for Chelsea if they want to achieve European glory.